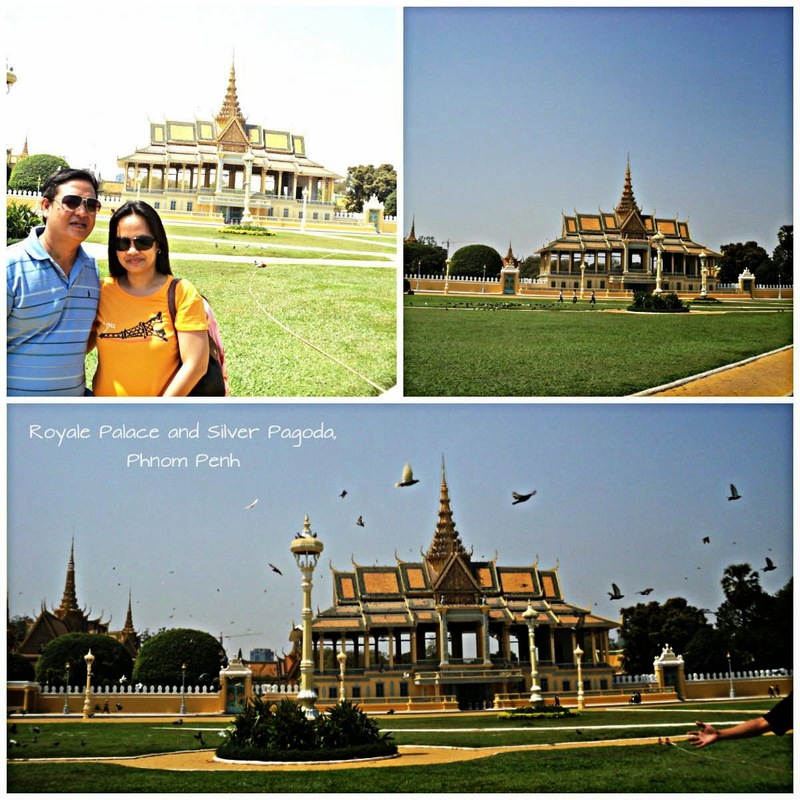 Royale Palace and Silver Pagoda, Phnom Penh | To Be, To Be. Tutubi. 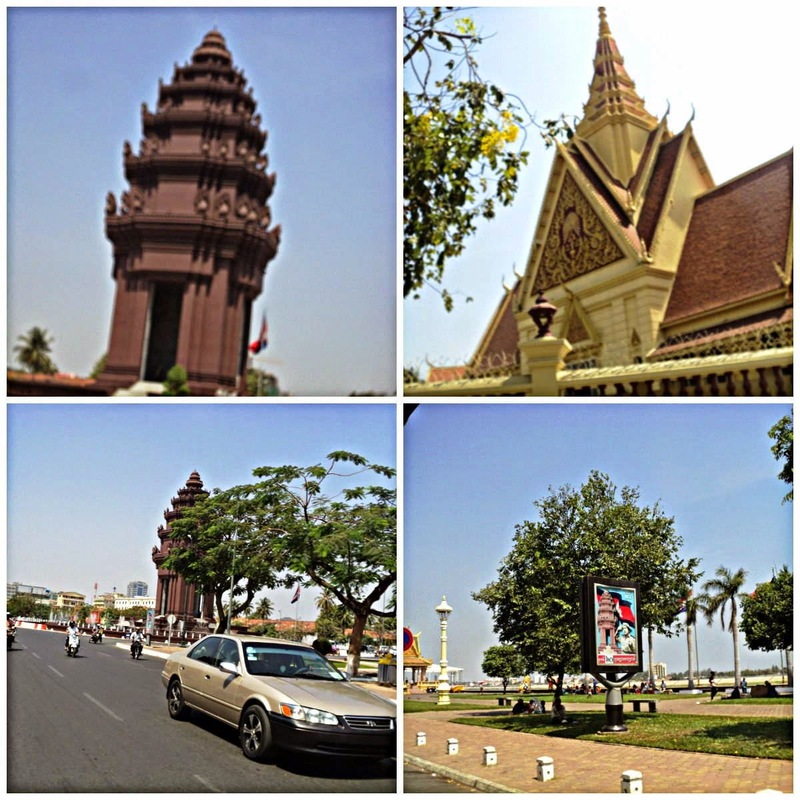 After that solemn visit to the Toul Sleng Genocide Museum we went back to the Quay area to visit the National Museum. We passed by the Independence Monument and some other notable buildings in the city. But we actually didn't have time to go inside and visit the Royale Palace as we had to be in the bus bound to Vietnam by 1pm. So we just took pictures from afar, after we asked our tuktuk to just stop on the side of the road. It was such a beautiful sight and there were so many birds flying around. It was so beautiful! 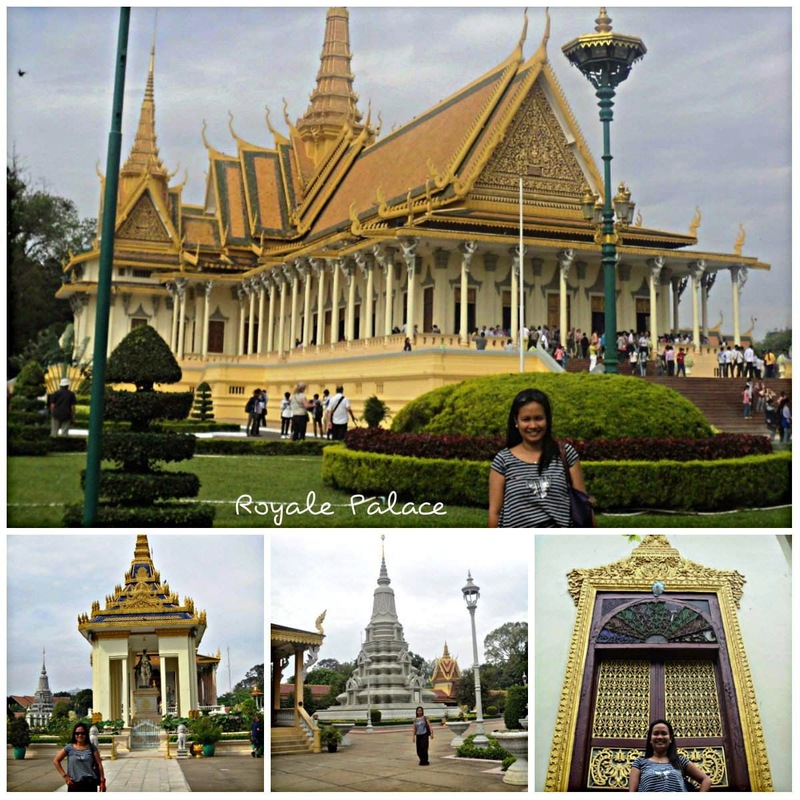 But since I have been inside the Palace the year before, let me just share you some of the photos. The courtyard was huge! And there were lots of buildings inside. We were not allowed inside some of the buildings, but we were allowed inside one which was a museum but taking pictures was not allowed. By the way, there is a dress code inside the grounds, no shorts and sleeveless for the ladies. If you notice below, we rented that brown pants I was wearing that day for $3. 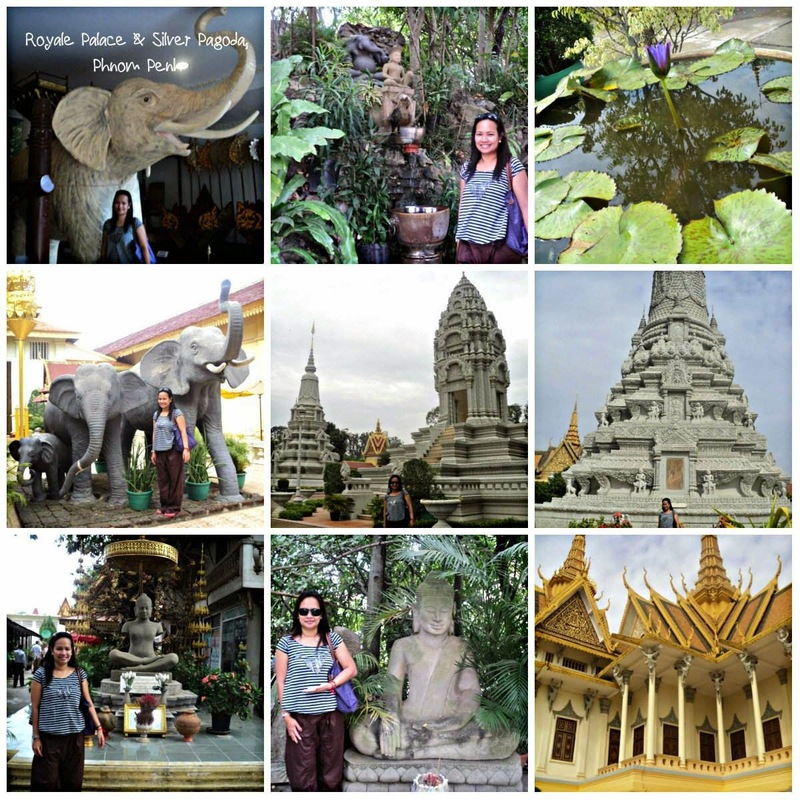 There were so many Pagodas inside but the Silver Pagoda stands out among the rest. It was tall, as you can see in my photos. And there were so many beautiful things inside the palace grounds, it was really such a feast to the eyes! Too bad my friends didn't get to see the inside of the Palace. But hey, that's one more reason to go back! Next stop: The National Museum. Phnom Penh Dinner at Karma!